Remember when my hair looked so fabulous a couple months ago? Well it's a funny thing because I don't know why I look so uncomfortable sitting in the chair in this InStyle Hair How to with Mark Townsend (The Un-done Bun). At least the video is short and sweet. I love this series of Hair how-to's. You can check out Miss Courtney Jaye in the video labeled Flat Iron 101. After I lost most of my curls and Courtney and I were at Barneys Greengrass, she snapped the photo that I used in this layout for The Dares. 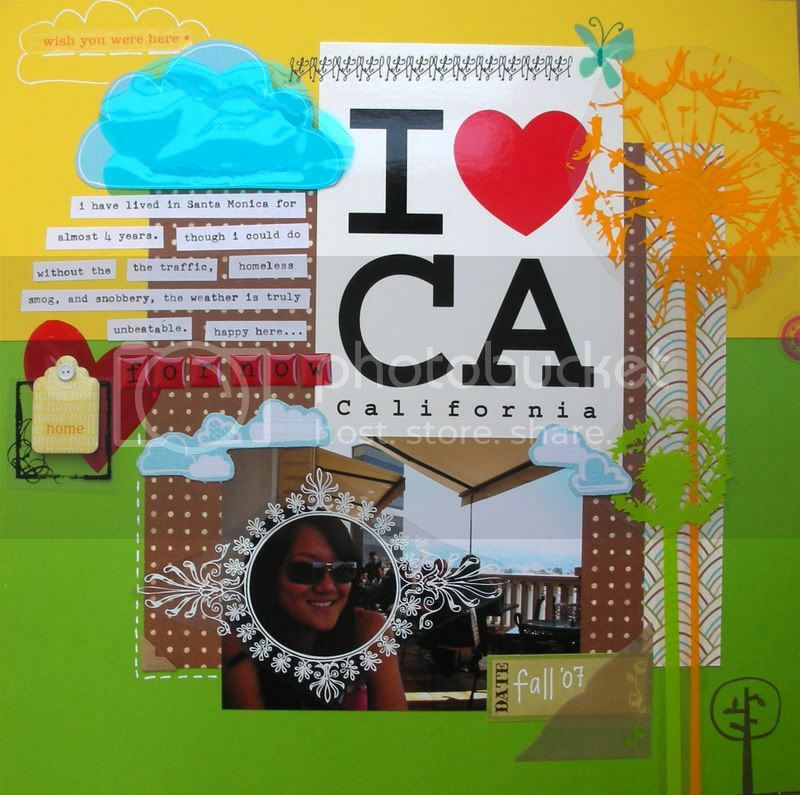 Haven't really done many scrapbooking challenges but these look like they'll be tons of fun, since I just ♥ their book. I've been in a reflective mood (kind of a depression type thing), which always happens before my birthday. 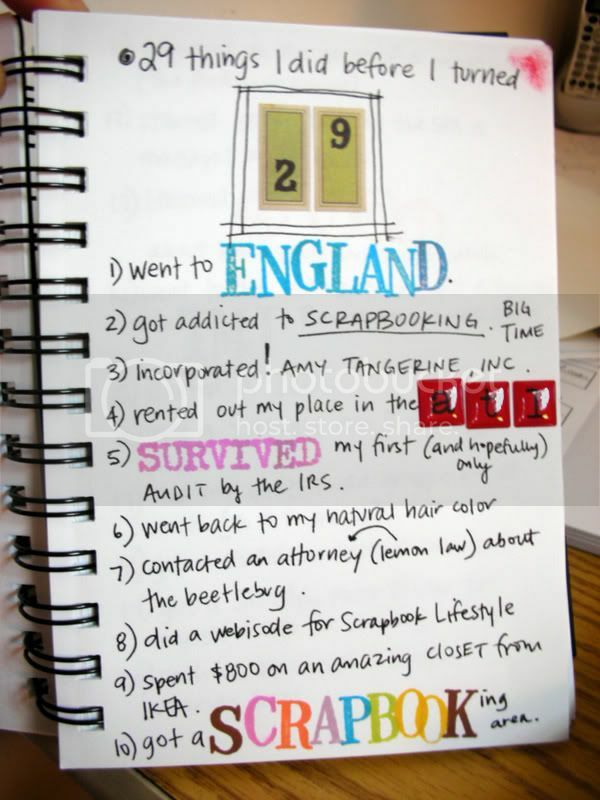 To help combat the negative thoughts, I am working on a list of 29 things I did before I turned 29 (while I was 28). Birthday is in a week and half and I am stuck on number 26. I guess I better get some motivation in me to write down a few noteworthy tidbits. With this list, I plan on making some sort of scrapbook page so that it will help me remember all the quality things, whether they be big or small. Will be delighted to share once it is complete... for now it is a total work in progress. Just like me.